Black Sabbath are among the acts set to be honored with their Grammy Lifetime Achievement Award at a May 11 event in Los Angeles. The Recording Academy will recognize its 2019 Special Merit Awards recipients with "Grammy Salute To Music Legends," an awards ceremony and live tribute concert at the city’s Dolby Theatre. Lou Adler, Nickolas Ashford & Valerie Simpson, and Johnny Mandel are Trustees Award honorees; Saul Walker is the Technical Grammy Award recipient; and, Jeffery Redding will receive the Music Educator Award. The tribute concert will feature rare performances by honorees and never-seen renditions by those they've inspired. Currently scheduled to appear are Lifetime Achievement Award recipient Clinton; Grammy winner Bootsy Collins, who will salute Clinton and Parliament-Funkadelic; five-time Grammy winner Lalah Hathaway and Kenya Hathaway, who will pay tribute to their father Donny; past Lifetime Achievement Award recipient Johnny Mathis, who will honor Warwick; Lifetime Achievement Award Recipient Sam Moore; two-time Grammy winner Gregory Porter, who will pay tribute to Eckstine; Lifetime Achievement Award recipient Simpson; past Grammy nominee Snoop Dogg, who will salute Clinton and Parliament-Funkadelic; and Lifetime Achievement Award recipient Warwick. A presale is currently underway with general public tickets going on sale Saturday, April 13 @ 10:00 AM PDT. 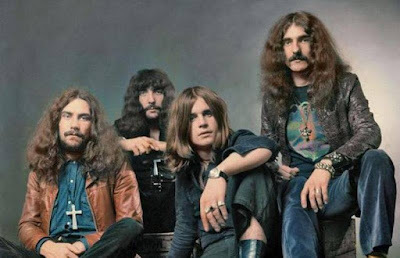 Formed in Birmingham, UK in 1968, Black Sabbath went on to sell more than 70 million albums worldwide; they were inducted into the UK Music Hall Of Fame in 2005 and the Rock And Roll Hall Of Fame in 2006.